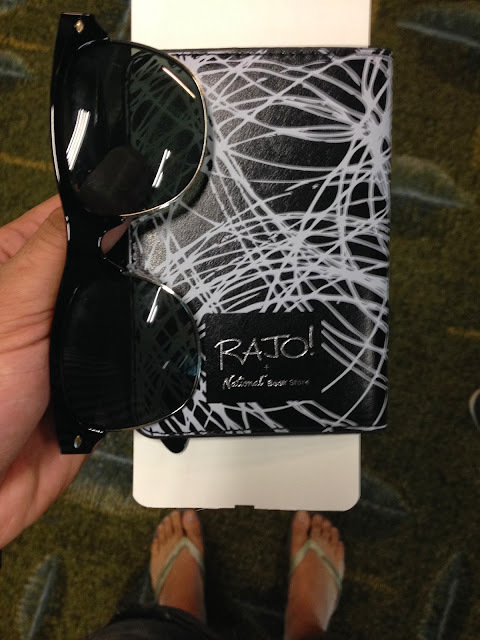 The year 2014 fashion forecast focused on the trend of prints this coming fashion season. Looking into magazines will you see random print to print & elaborated pattern designs from famous brands like Givenchy. So here's my personal style on how to handle a print inspired fashion style this coming season. I came up with a summer themed paradise inspired look with this Topman shirt. The animal prints made it so eye catching & just need to add in basic accesories like denim shorts & leather sandals to complete this look. Starting this year, I will try to post a fashion blog post every week as I've been a LookBook user too ever since. So watch out for more fashion blog post soon. Welcome to Zoobic Safari! 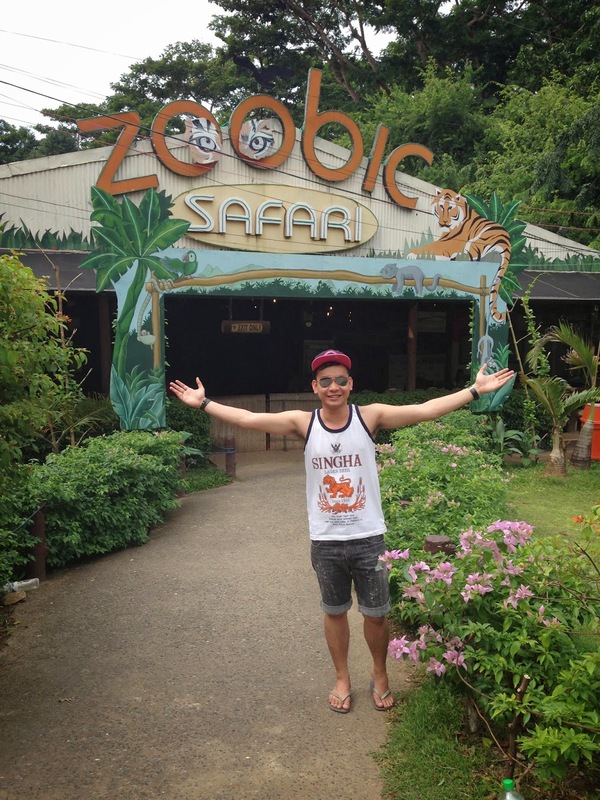 The first and only Tiger Safari in the Philippines, located in the heart of the forest of Subic Bay Freeport Zone. Having a direct encounter with a tiger is definitely something you should try. I had the chance to ride in a protected jeepney while feeding the tigers in their natural habitat. I just had so much fun & memorable experience on this trip with so much fun activities to do like feeding the crocodiles, close enclosure with monitor lizard, riding on camels & horses & watching the ostriches in the Savannah. Also as part of the tour, local tribe Aetas will entertain you with their music & dance presentation. On average, budget of PHP 550 per person is enough for this Zoobic trip. Known as "Sky Eye"located in Tagaytay City is the tallest ferris wheel in Philippines at 63 meters with 32 gondolas which is far bigger than the MOA Eye & Enchanted Kingdom's Wheel of Fate. Everyone just love Tagaytay City with an elevation of 2,000 feet above sea level (so cold in here) & you will definitely enjoy the highest point of the Sky Eye at 2,207 feet. It is considered to be one of the most visited summer destination in Philippines so Sky Ranch will be a great place to visit this coming summer with friends or families who's planning for some vacation in the next coming months. Nessi Coaster & Carousel & Ferris Wheel @ Sky Ranch Tagaytay. My 2013 travel adventure was another great year. I have been to 12 cities in a year, it's like 1 travel escapade every month (no wonder I don't have savings last year) LOL! So I decided to have a recap of my travel adventure in 2013. Singapore will always offer stunning to all the tourists whether day or night. Republic Wake Park Nuvali is primed as the newest and most innovative wake park in the world.- and it'll be right in our backyard! Nuvali Republic Wake Park officially opened in June 2012. I'm such a happy kid at heart when I finally experienced how cool for it to try. 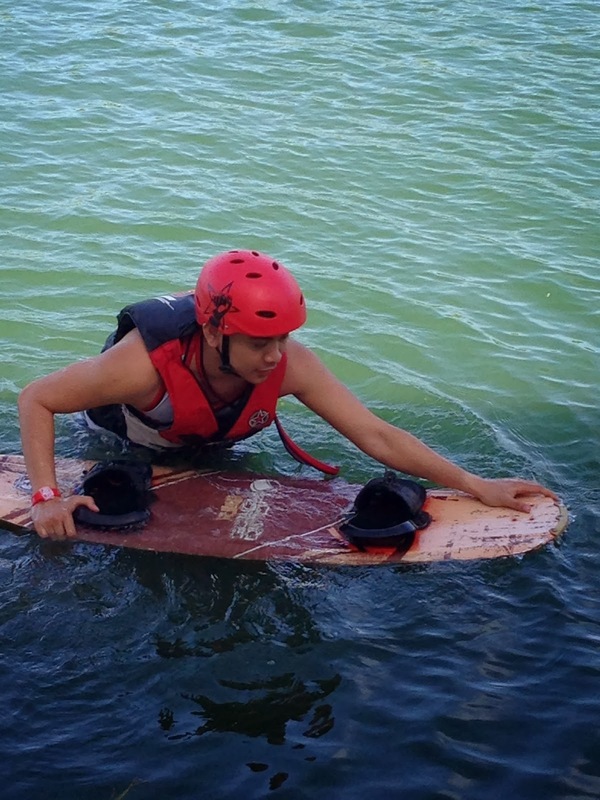 Since I promised myself to learn new skills this year, thanks to Nuvali Wake Park for making this happen. They offer step by step lesson with the stand-by trainer that I really appreciated plus the cable rate package which is really affordable. Take SLEX from Manila and exit to Sta. Rosa exit. Another option during rush hour is to take the Eton Exit, right after the Sta. Rosa exit. The town-mall is around 5km on your left from the exit. Nuvali main entrance is along the Sta. Rosa- Tagaytay Road. Nuvali Wake Park is 14km from the main road. Republic Wake Park is across Avid Parkway setting, Avida Woodhill & Avida Village Cerise. I will be on a 3 day vacation to celebrate my 25th birthday & getting excited for another travel adventure. See my blog post soon. As what I have promised, these were the highlight of my 25th birthday celebration. Watch out for more blog post this month. Using my Rajofied passport holder. Truly Pinoy! November 2013 was simply nothing but awesome as I ventured into travel & activities whereby majority of it were like first time experience in my life so far. November will be an exciting period as holiday season comes and so I wanna share with you again my last year IG photo diary in capturing how awesome my 2013 was. Enjoy 2014 & Happy New Year to everyone. Infamous Fish Soup w/ Milk. Welcome to the World of Jo Malone - an exclusive lifestyle collection for the bath, body and home. From the refined, unexpected scents to the exquisite cream & black packaging, the timeless luxury of Jo Malone has captured the senses of discerning women & men around the world. 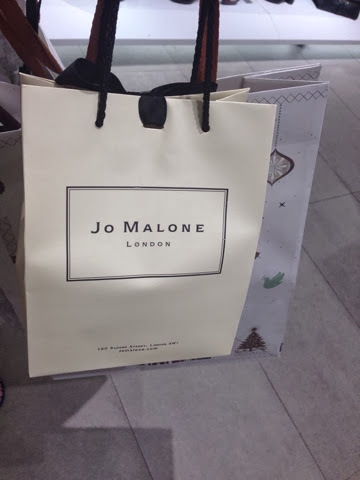 I've heard of Jo Malone fragrance from someone special, and decided to give one a gift. I visited one outlet here in Singapore located at Takashimaya Shopping Centre and decided to settle for one of the best scent I've encounter which was the Fruity fragrance. Their fragrances come in two sizes & in the heat of the moment I went with the larger 100mL bottle. If given the chance to buy for myself, I will buy the smaller bottle of the citrus scent. It comes in gorgeous, simple glass bottle with a shiny silver cap. It's one thing to keep in your closet for sure. Jo Malone is divided into 6 different categories: Citrus, Fruity, Light Floral, Floral Spicy & Woody. Have you ever tried Jo Malone fragrances? Which ones have you fallen in love with?